Chris Buescher celebrates his victory in the Herr’s Live Life with Flavor 200 at Madison International Speedway. 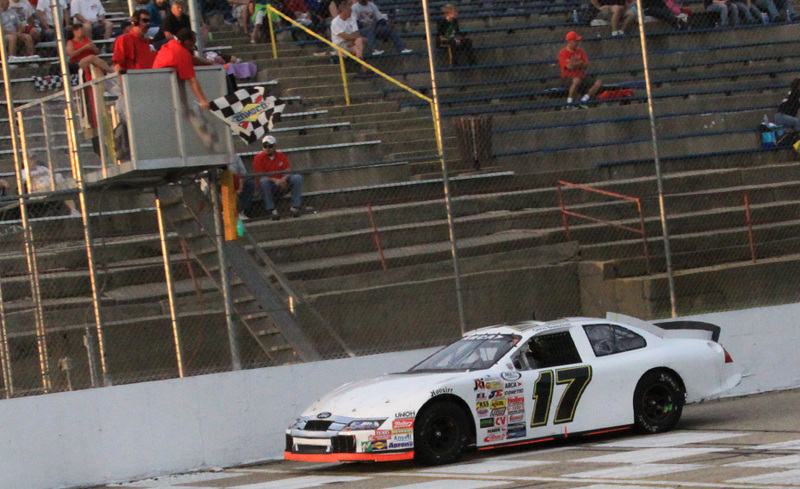 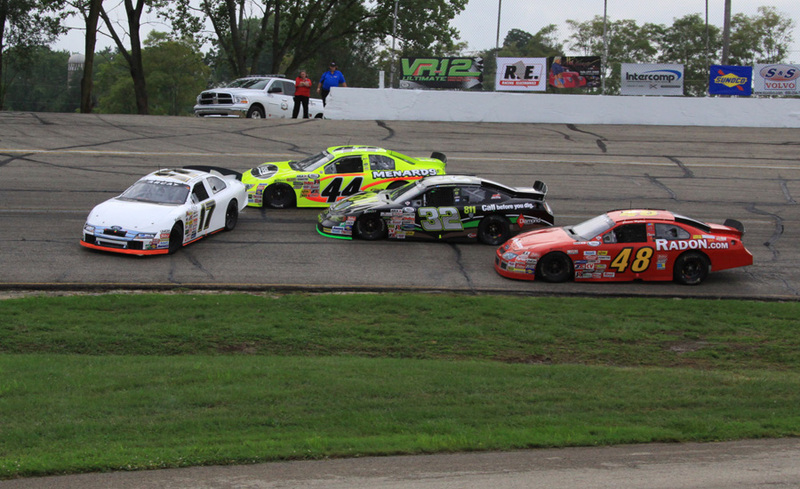 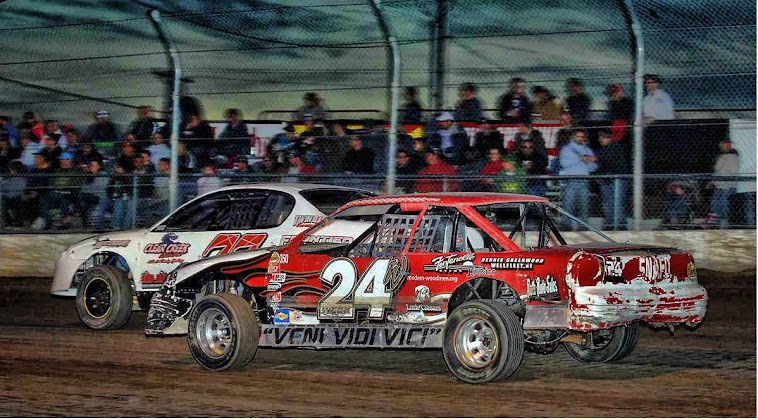 Chris Buescher (17) races with Clint King (15) in the Herr’s Live Life with Flavor 200 at Madison International Speedway. 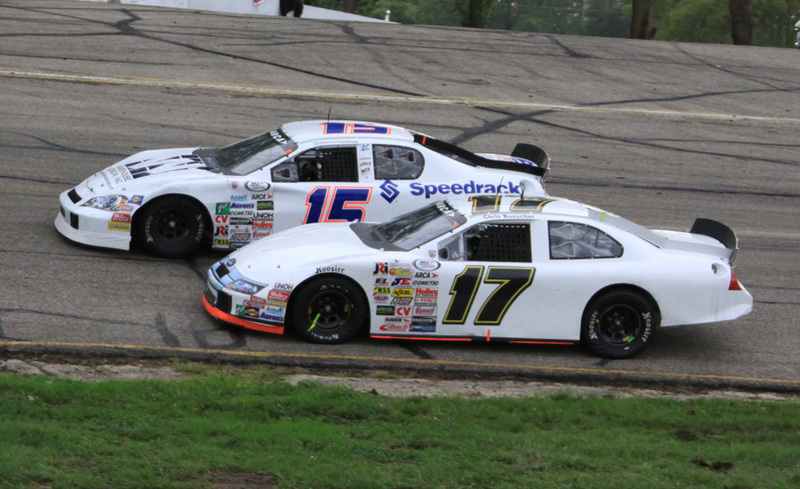 Chris Buescher (17) spins after contact from Frank Kimmel (44) on Lap 31 in the Herr’s Live Life with Flavor 200 at Madison International Speedway. 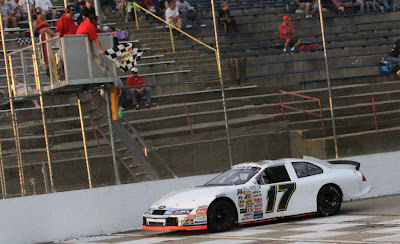 Buescher recovered from 13th place and passed Kimmel on Lap 175 before driving to his fourth win of the season. 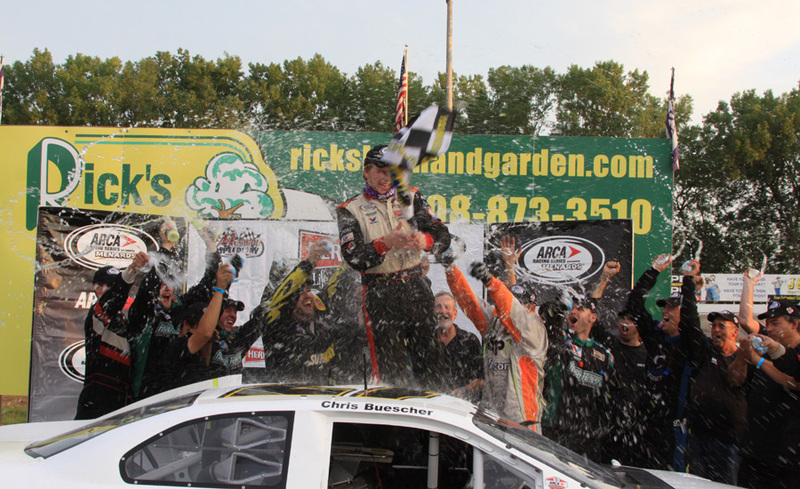 Chris Buescher takes the checkered flag to win the Herr’s Live Life with Flavor 200 at Madison International Speedway. 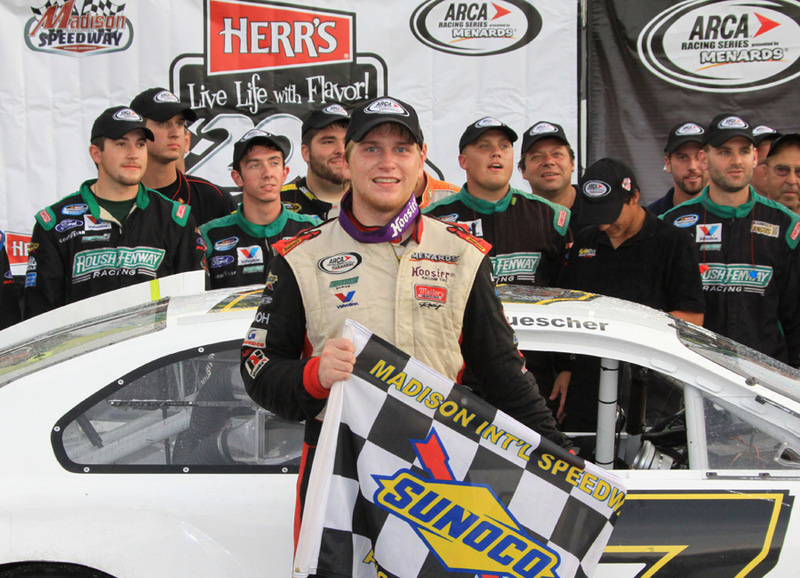 Chris Buescher and his Roulo Brothers Racing crew celebrate victory in the Herr’s Live Life with Flavor 200 at Madison International Speedway.